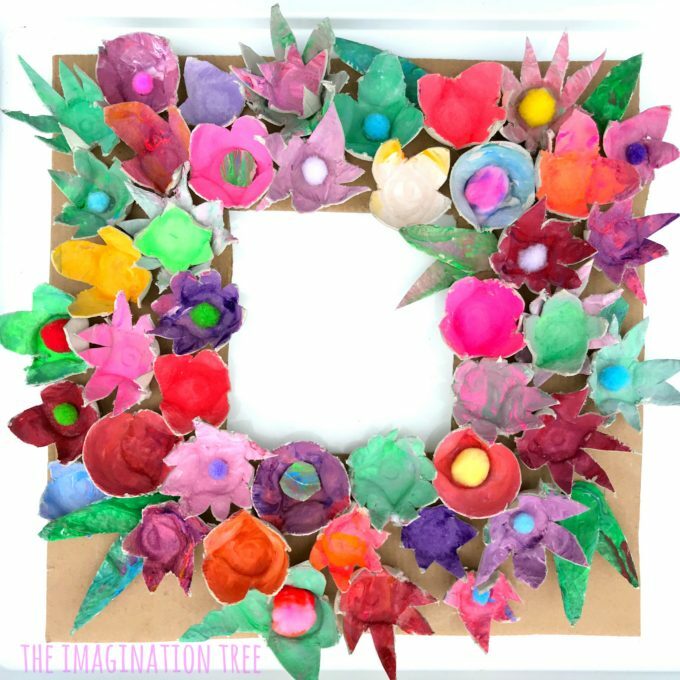 This is such a nice after school wind down activity that can be done over a series of afternoons until the final project is complete. 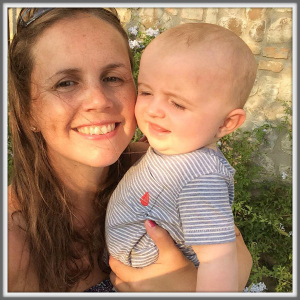 It’s especially good for arty play dates as all you need are some extra boxes to set out, the more the merrier. Alternatively, preschoolers can do this just as easily as older kids as all that’s required is paint and some concentration time! The cutting can be done by an adult later and worked on together as a joint project. And the end results are just spectacular! 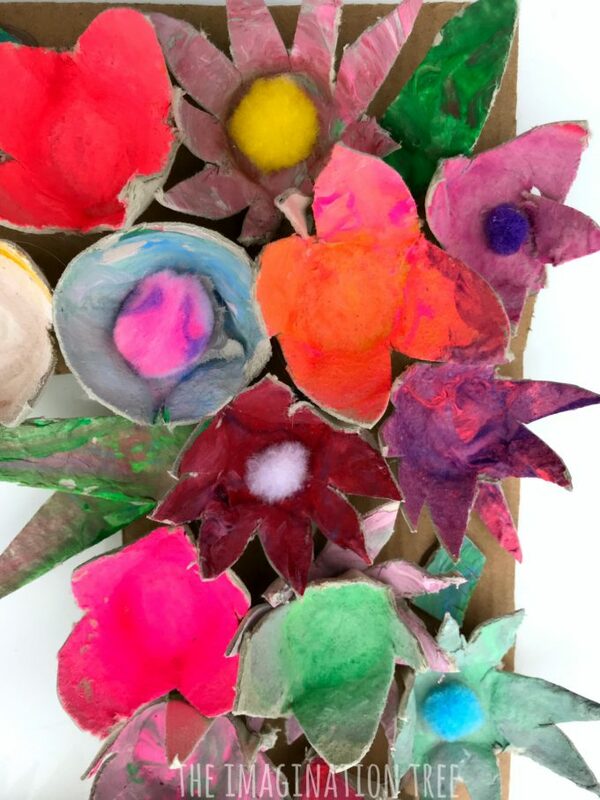 All from recycled cardboard egg cartons- my fav kind of materials to use! Top tip: only set out bright colours and include PLENTY of white. White brightens all colours and encourages greater range of colour tones when mixed. Don’t add black as this darkens all tones and creates those murky browns. 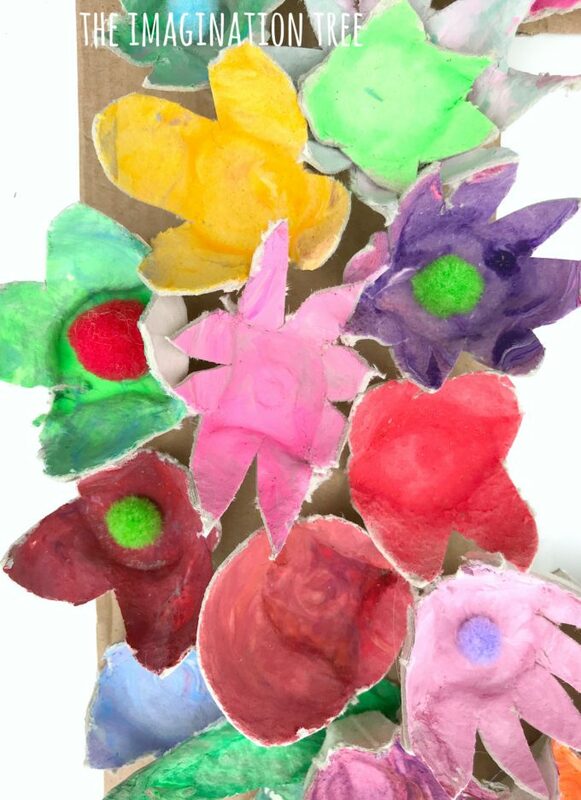 Once the colours were out I suggested a challenge to my kids to see how many different colours they could create using the paints in front of them and whether each time they mixed one it could be slightly different from the last. I also made it a fun game where they could name each colour in the style of those paint chart names you find at the DIY store. Eg the yellow could be “custard dream”, red is “dragon’s breath”, blue is “sapphire mist” and so on. The range of colours and the names that they gave them were just beautiful. Try it! This is especially good for older kids (6+) and was a fun literacy+art combo! 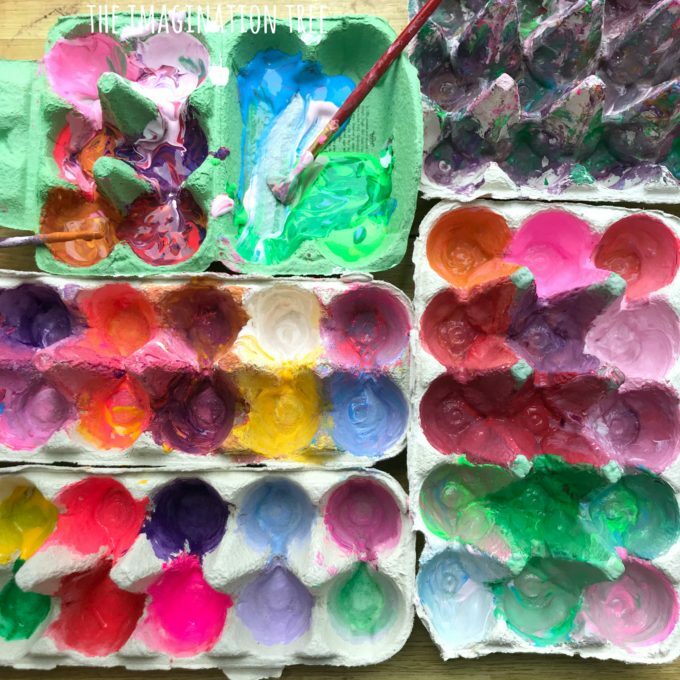 They used their beautiful hues to paint each and every compartment in the egg cartons, taking care not to leave any spaces. It’s important to remind them of this or else the colour impact isn’t as great when they’re cut out. Once the paint has dried, cut the compartments roughly into strips so that it’s easier to cut the individual ones out. 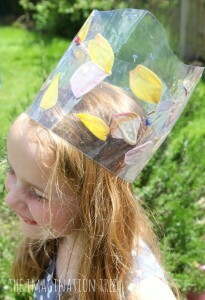 Then cut around the edges of each to create petal and leaf shapes, either spiky, pointed or curved. 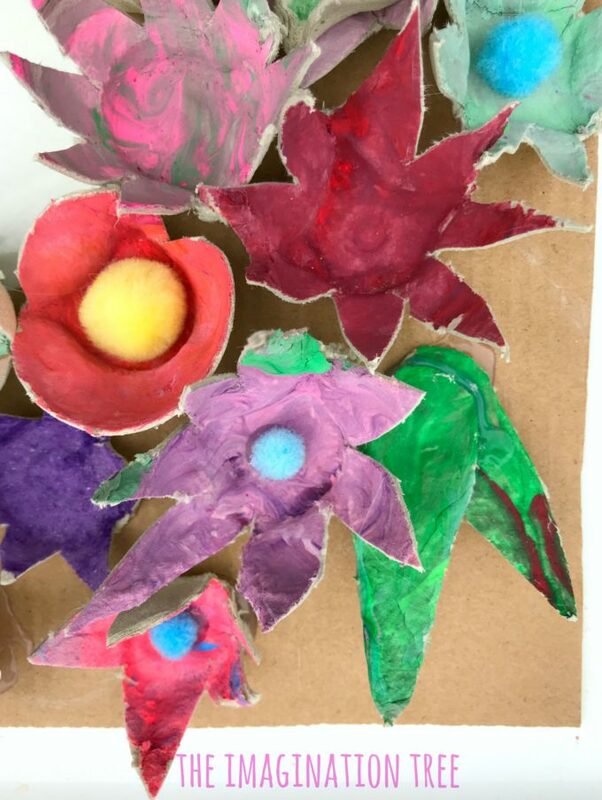 After that the children used PVA glue to fix a range of large and small colourful pom poms into the centres of some of the flowers, to create a colour contrast. We deliberately didn’t do all of them to create some visual interest, but of course you could! I also cut some spare pieces of painted egg carton to make some leaf shapes for some corners and edges. 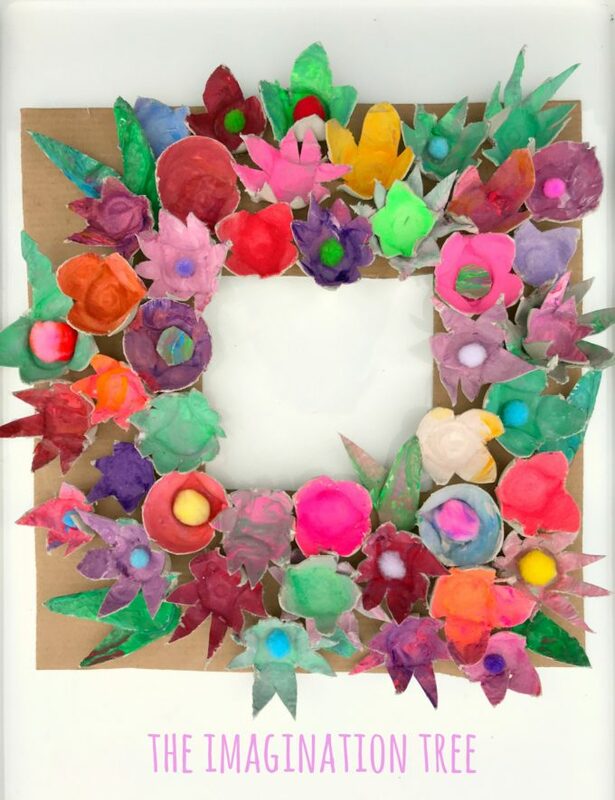 Once ready to go we cut a piece of cardboard into a square frame shape and then placed them around the outside edge to make a colourful wreath/ frame type effect. When they were happy with the layout I then used my hot glue gun to attach them all securely in place. 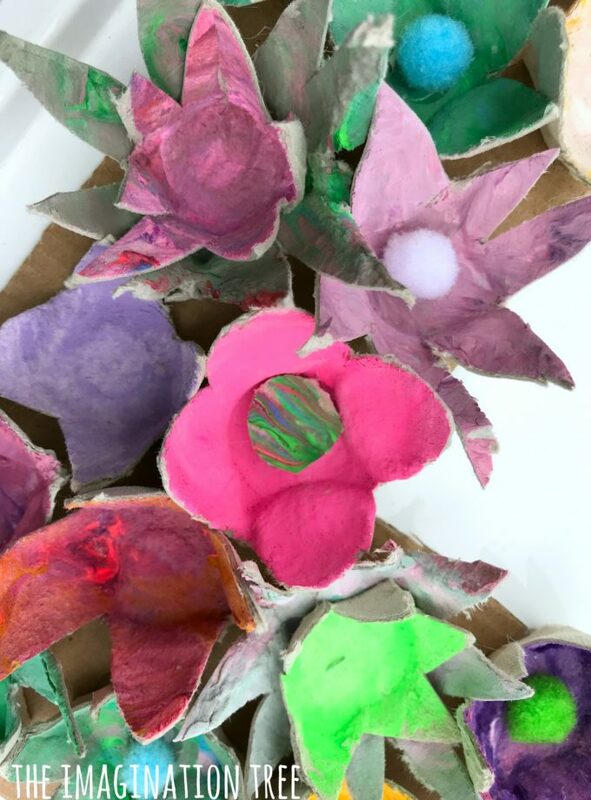 This egg carton flower art would also look amazing in one huge arrangement, on a canvas, individually attached to greetings cards or around the sides of a photo display. It could make a great door wreath too! 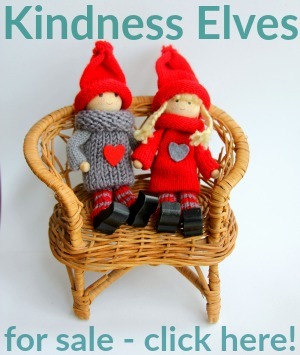 If you loved this idea then please share it! You will find LOTS of ideas for more Art and Craft Activities in the archives. 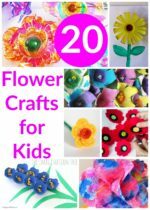 Here are 20 Flower Crafts to get you started! 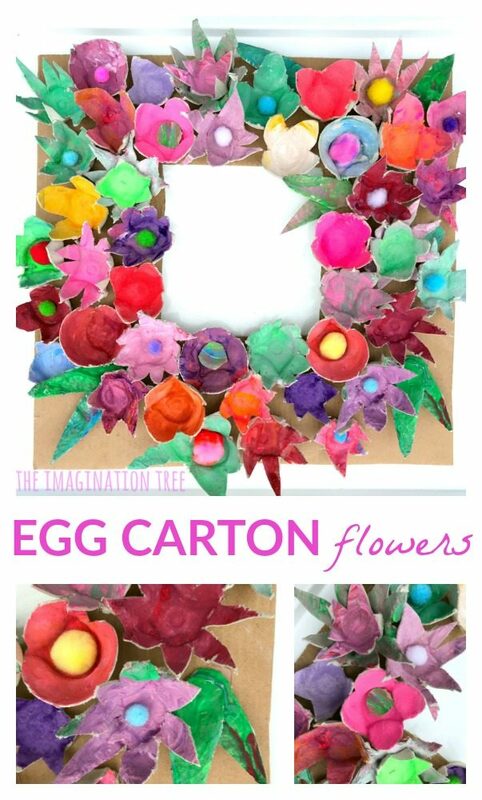 And LOTS of ideas for using egg cartons here too! What a lovely lovely wreath! 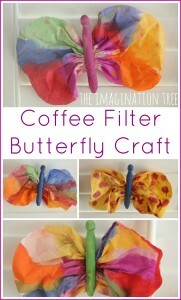 What a perfect purpose for all of those colorful flowers! This idea will mist certainly get used.